Experience the Southern charms without beach crowds for a change. Nakhon Si Thammarat is my hometown and we'll take a peaceful stroll around the Old Town area. Let's visit the famous temple Wat Phra Mahathat and City Pillar Shrine, the fascinating shadow puppet gallery and show, and enjoy Southern-style lunch at one of my favorite restaurants. Then we'll go to Kiriwong Village and breathe in the best air in Thailand. Lunch time. 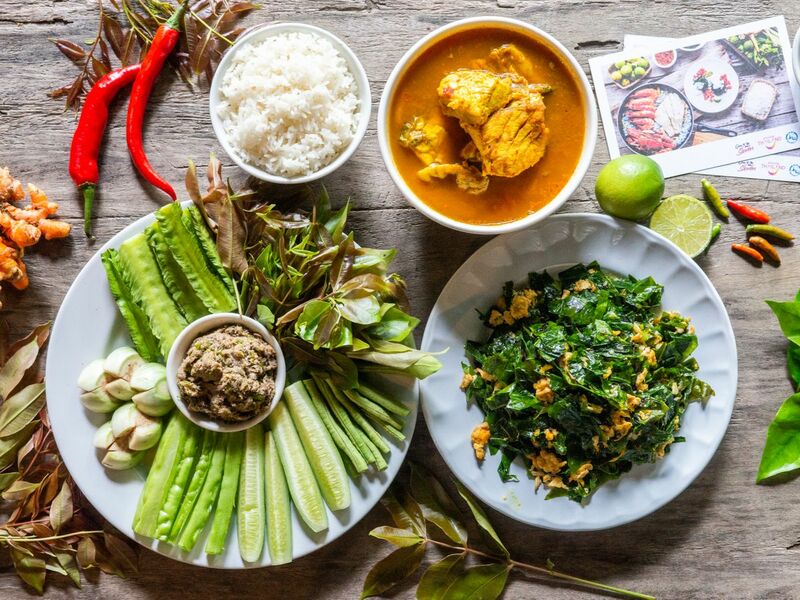 Try Southern Thai food with unique ingredients like horseshoe crab, baegu leaves, and more.